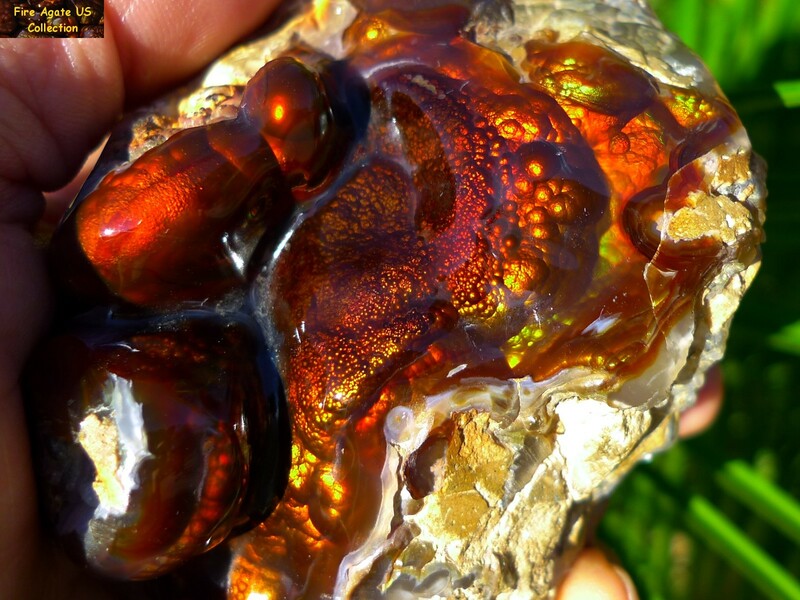 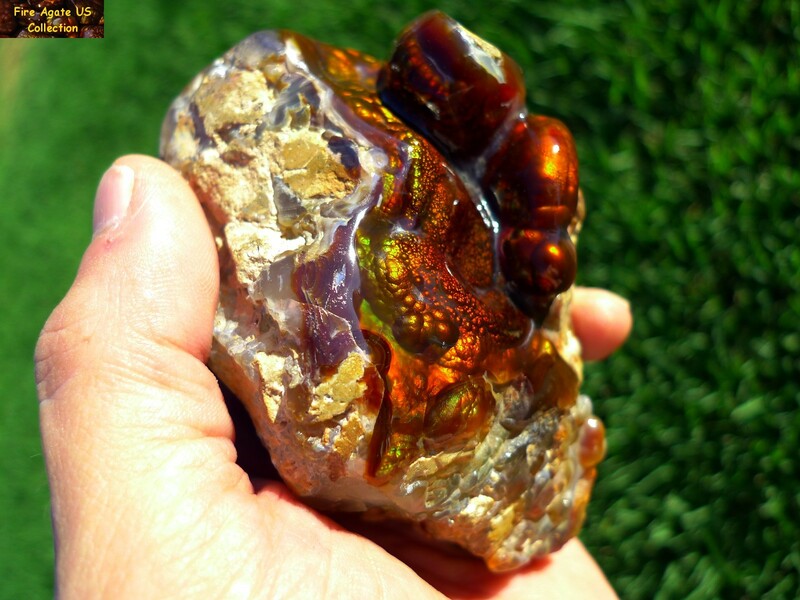 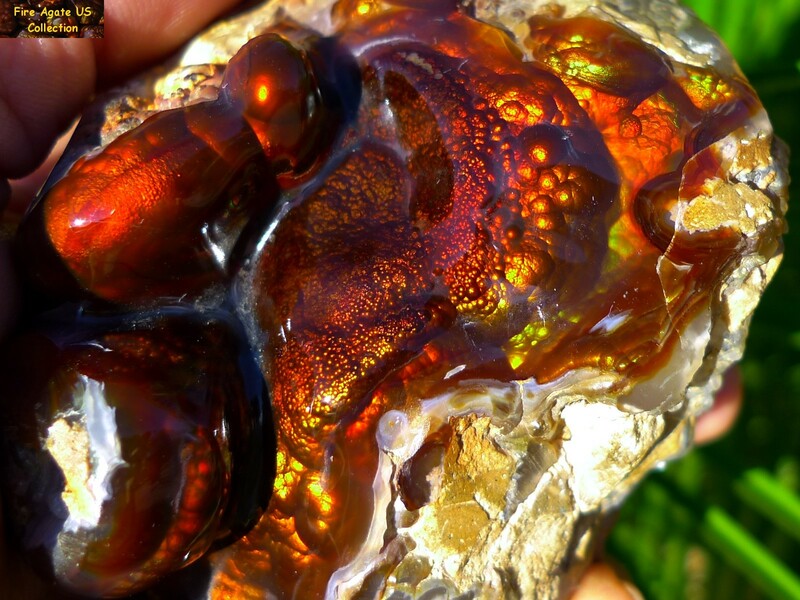 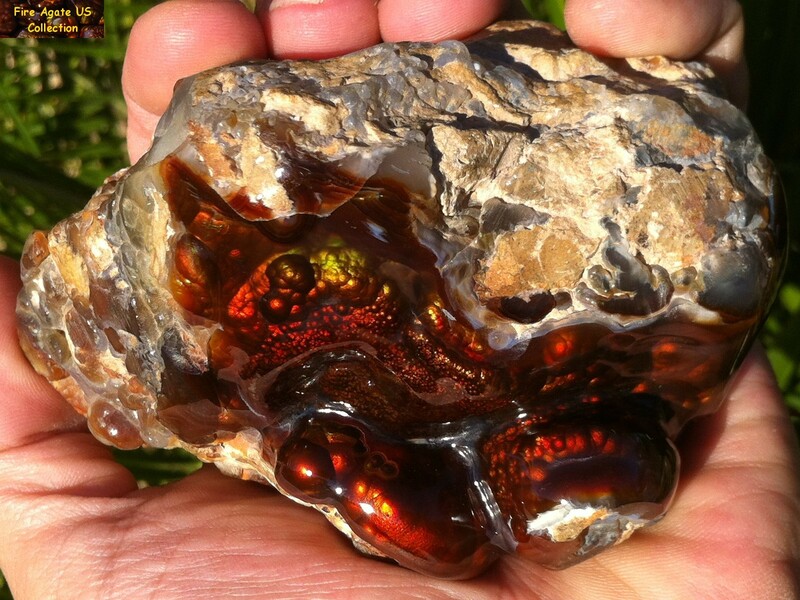 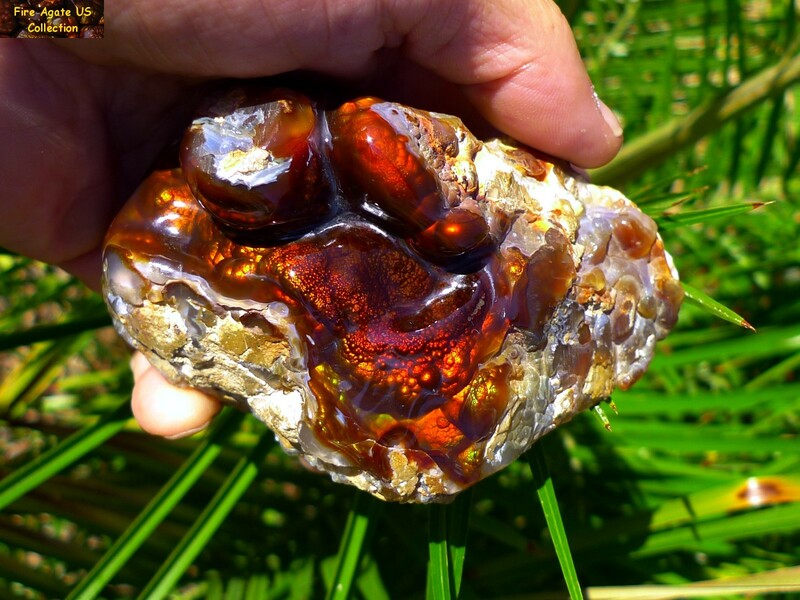 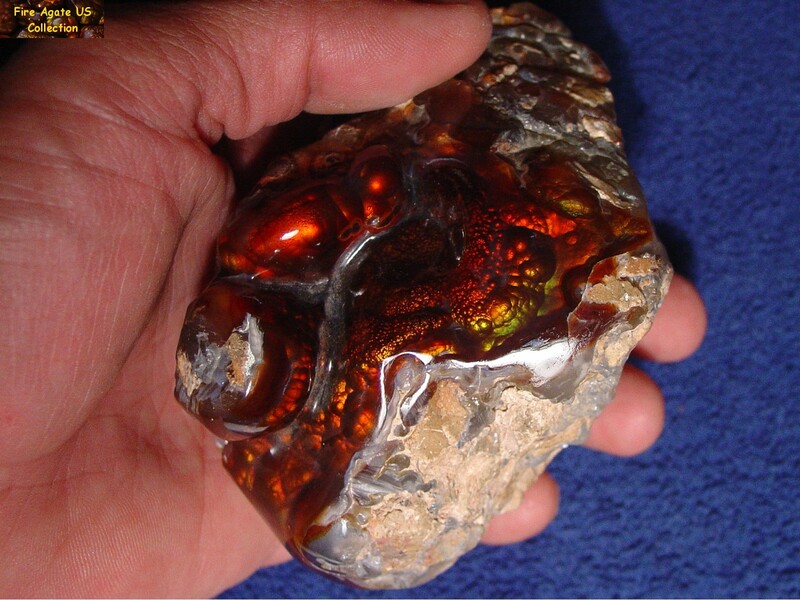 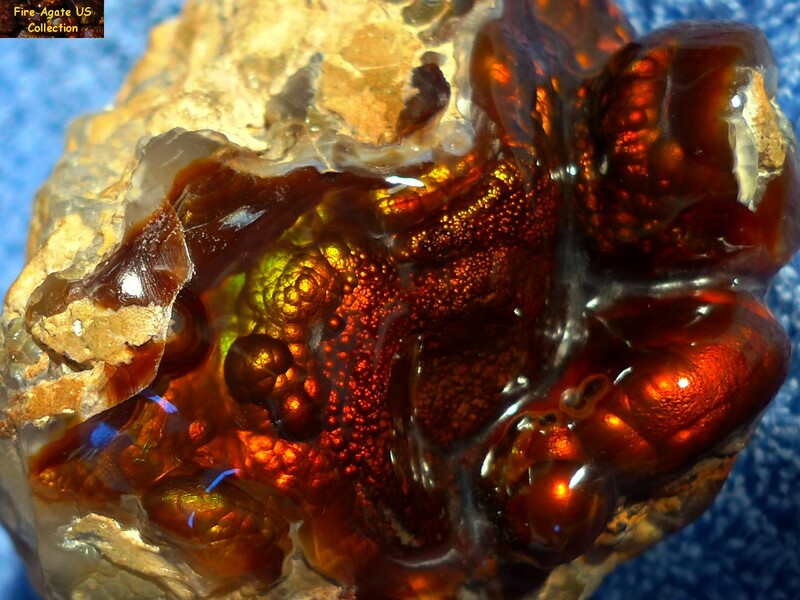 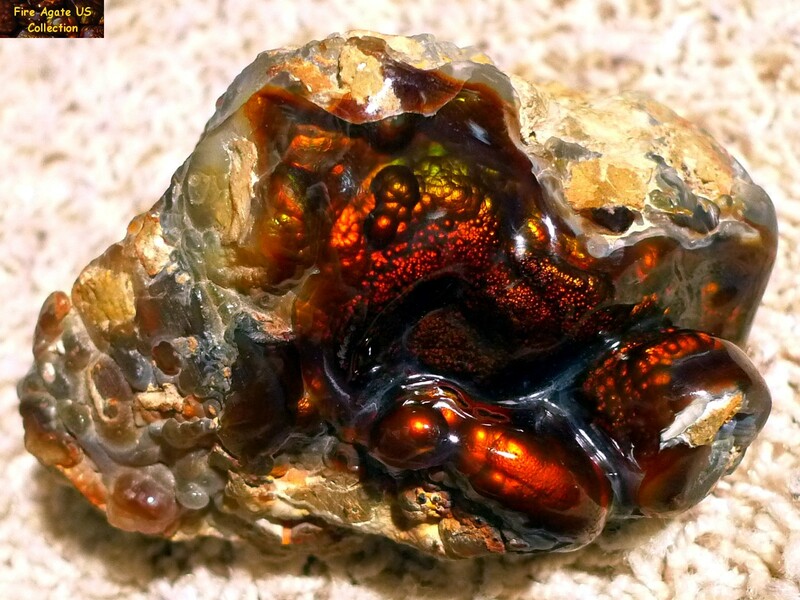 was obtained by Fire Agate US after being tucked away for over 30 years as part of The Joe Wilcox Collection in Sedona Arizona. 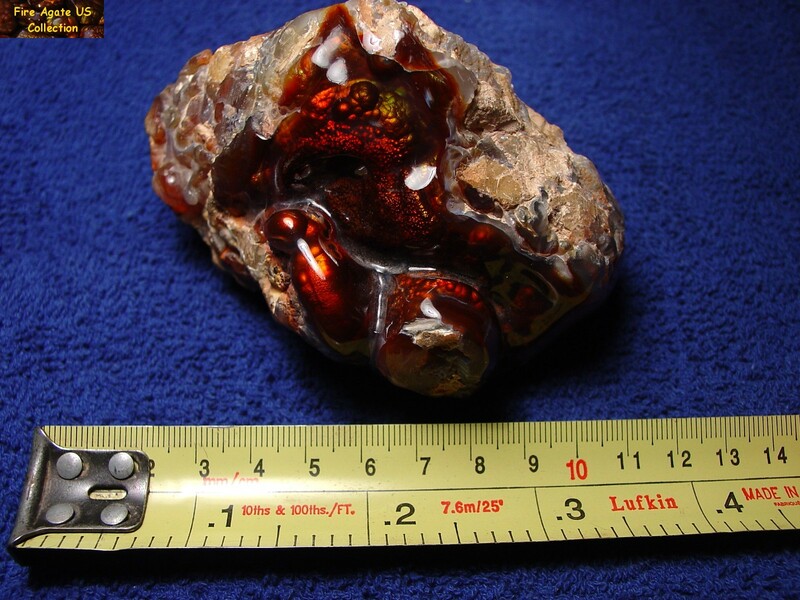 The large free form carved gemstone measures 4-1/4 x 3 x 2-5/8 inches (10.5 x 7.5 x 6.5 cm), weighs 16.5 ounces, has a high gloss polish and displays gem quality bright fiery red, orange, gold and green colors. 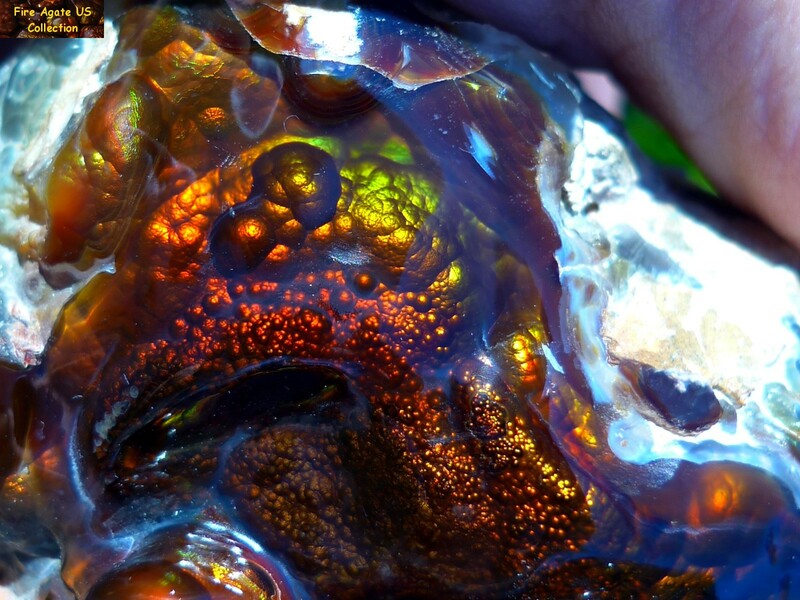 This spectacular gemstone carving makes for a wonderful addition to any gemstone or fine art collection. 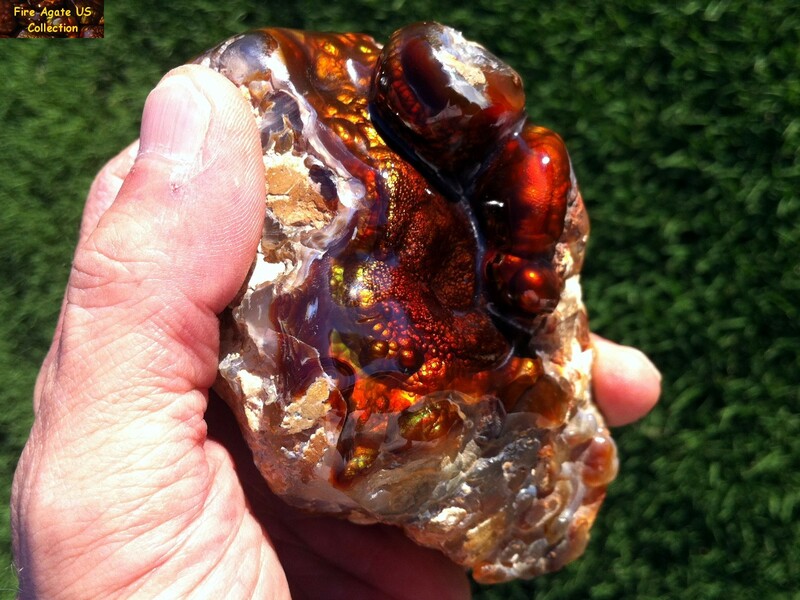 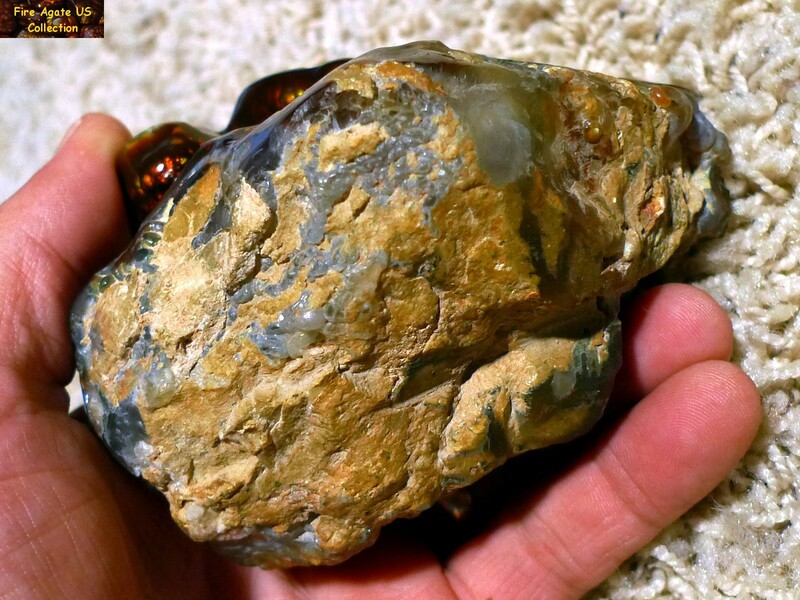 The fire agate rough that this piece was created from originated from Slaughter Mountain, Arizona, which is known for fire agate gemstones with intense color variations from bright reds and oranges to intense greens, purples and blues.